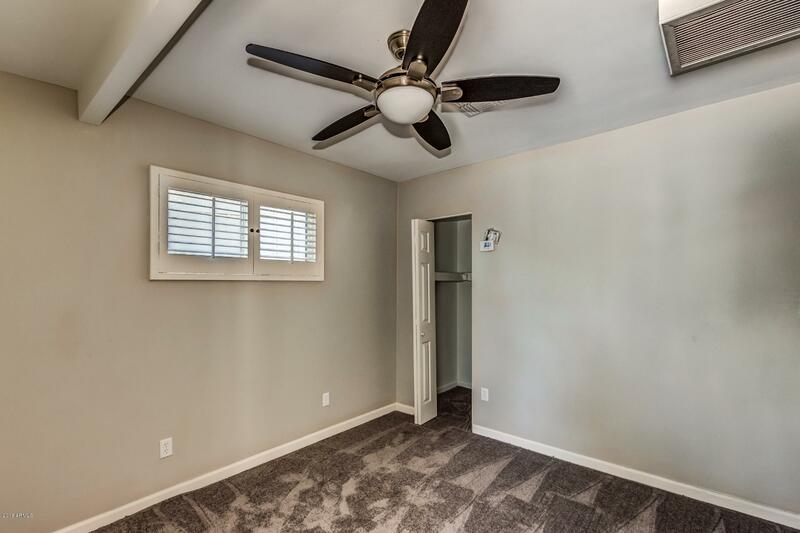 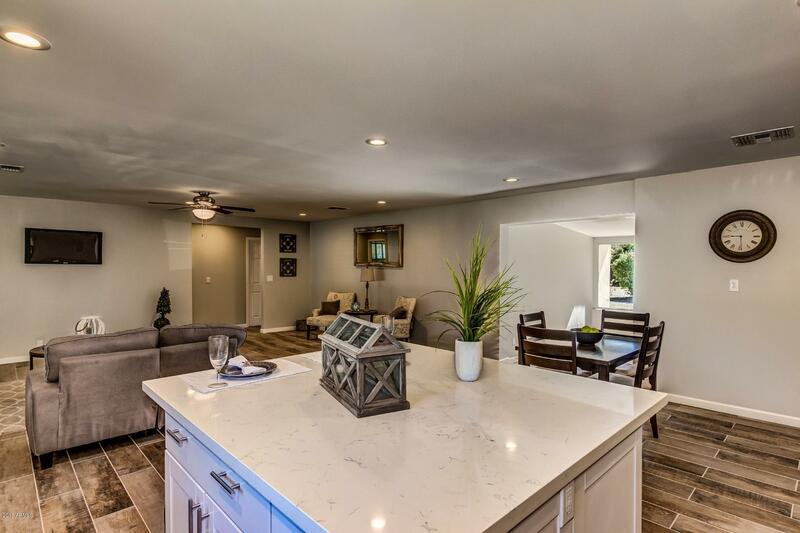 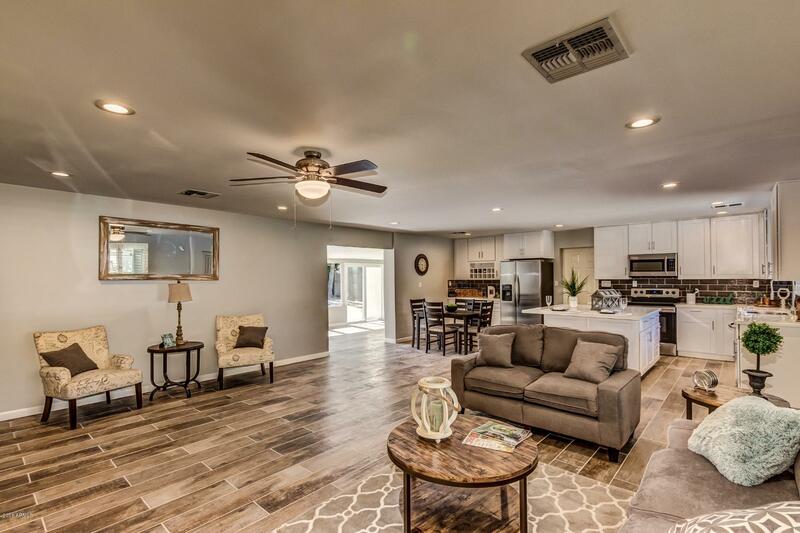 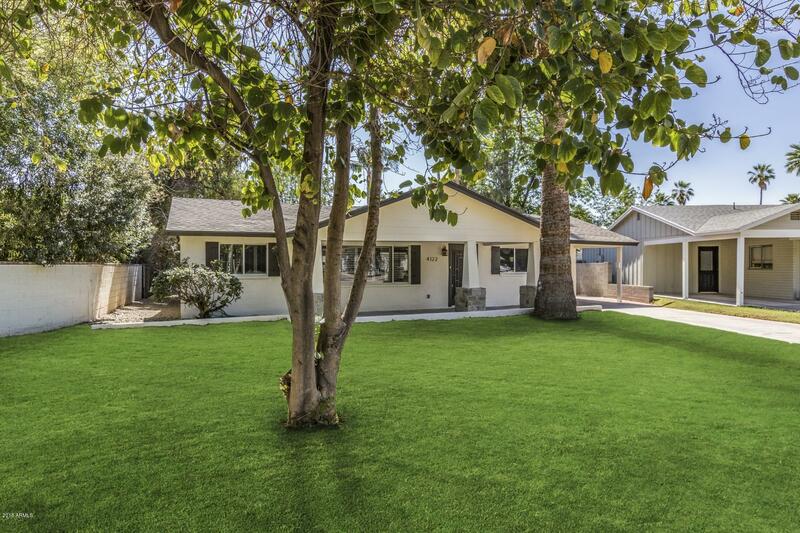 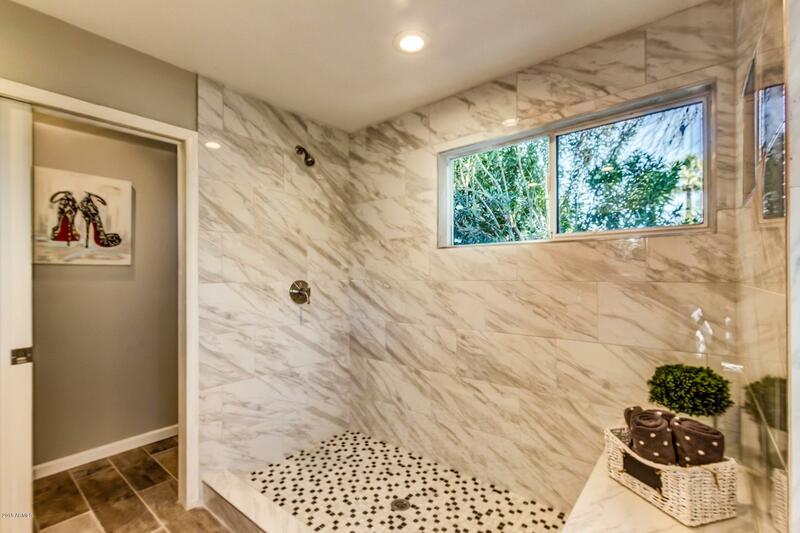 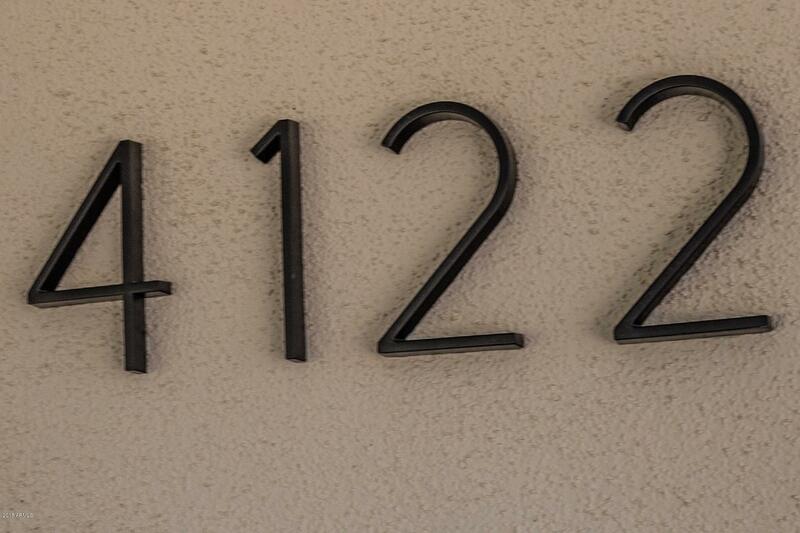 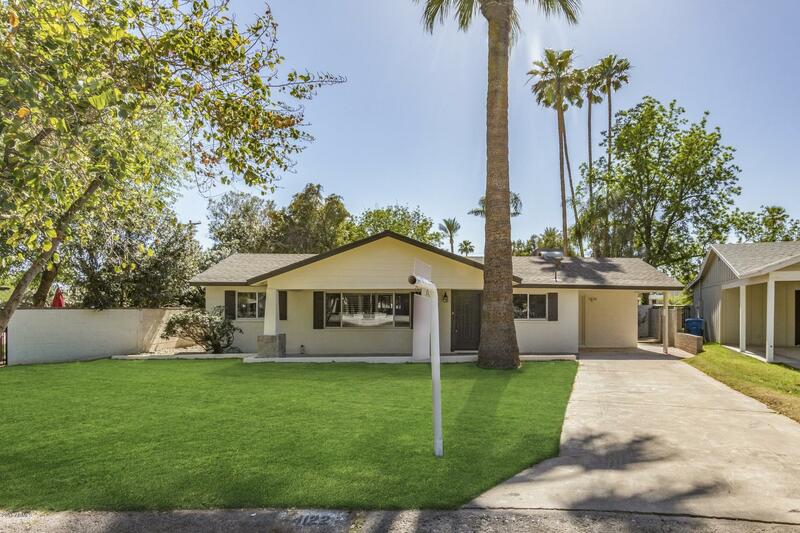 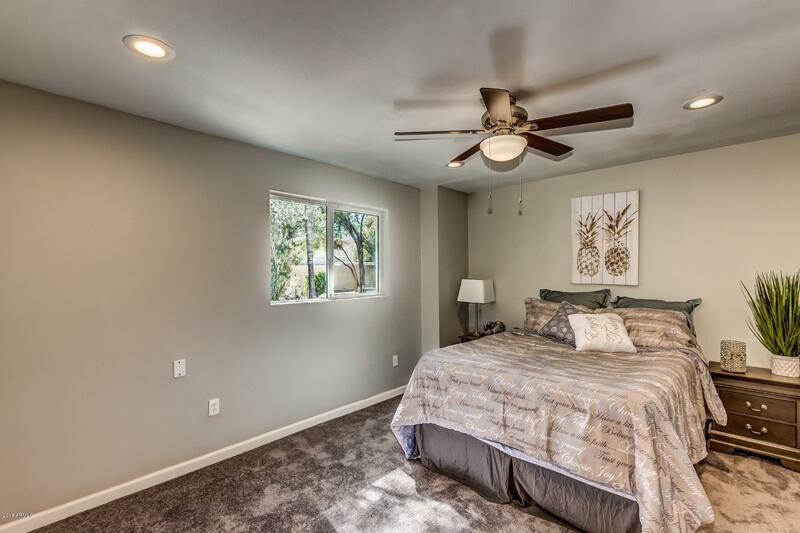 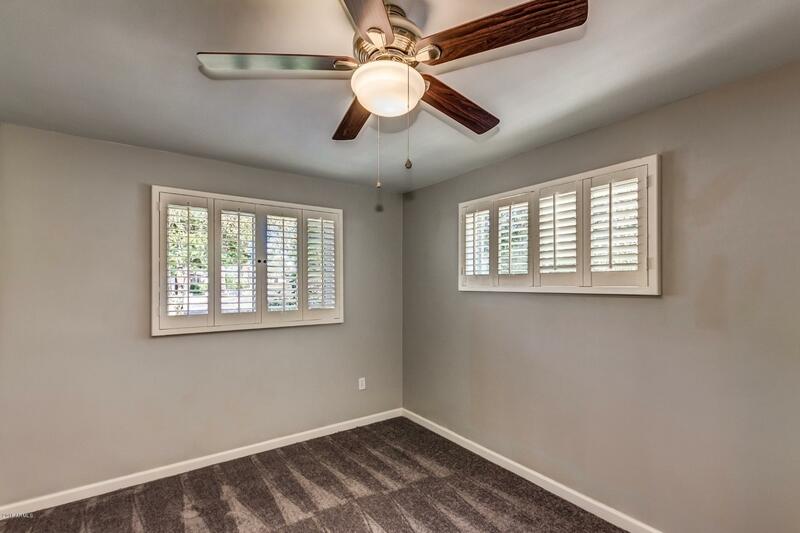 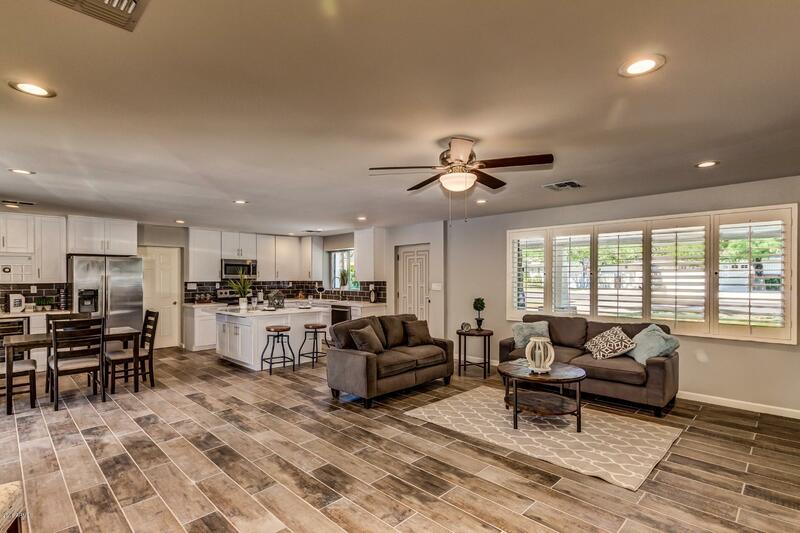 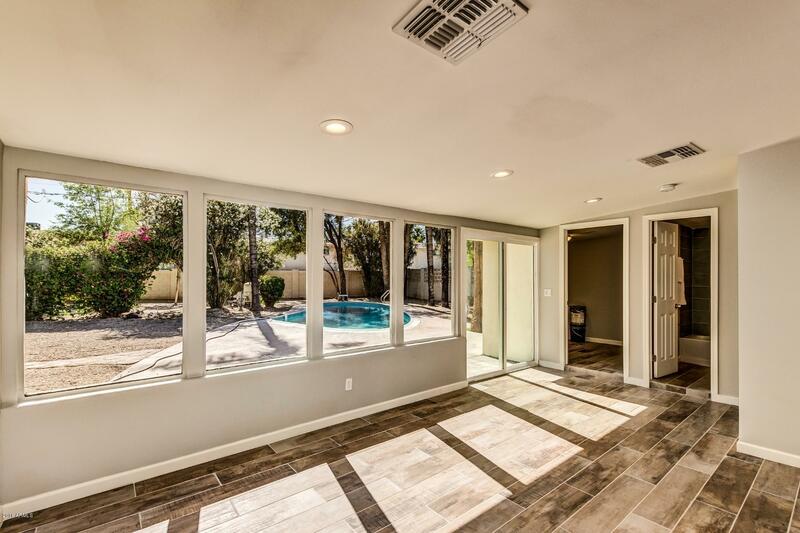 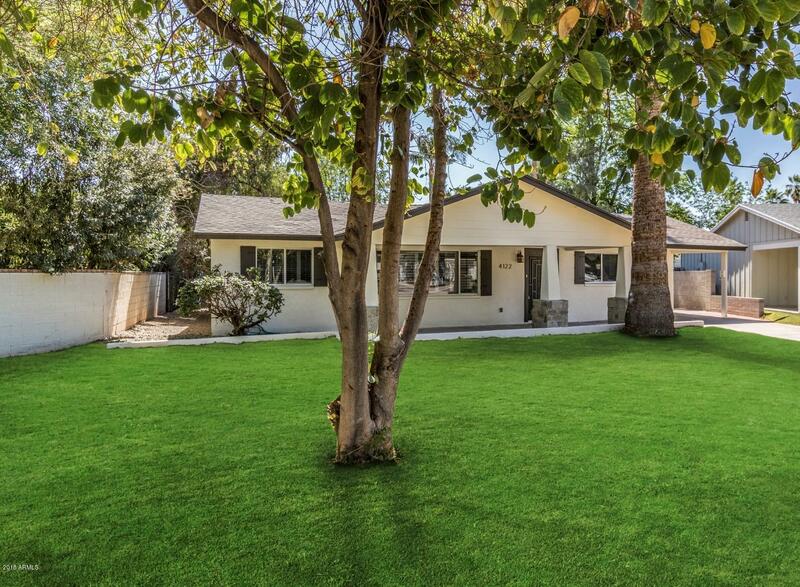 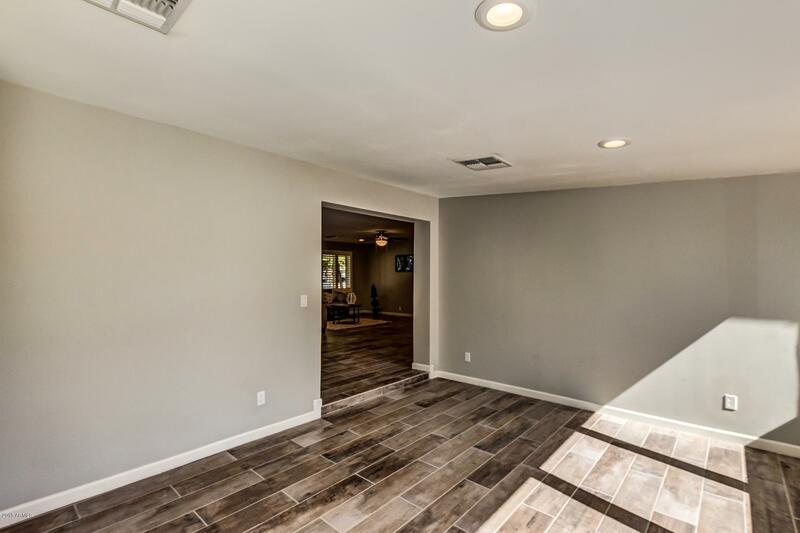 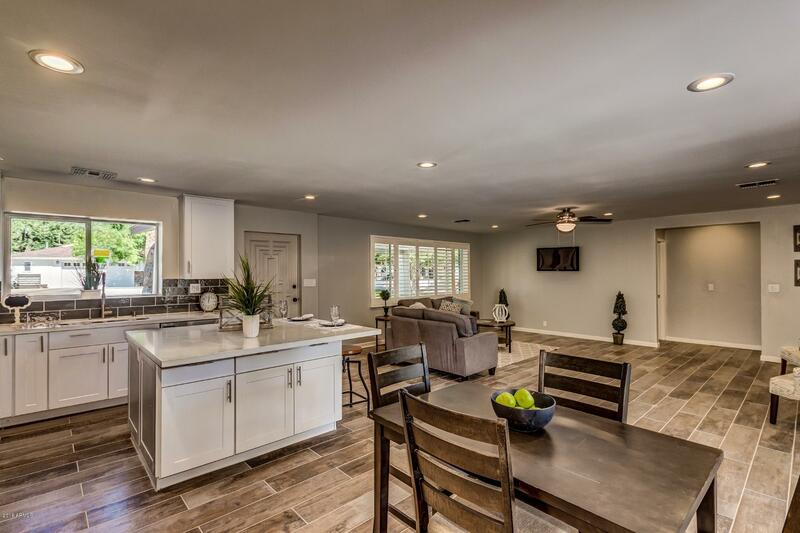 Welcome home to this wonderfully remodeled Arcadia home. 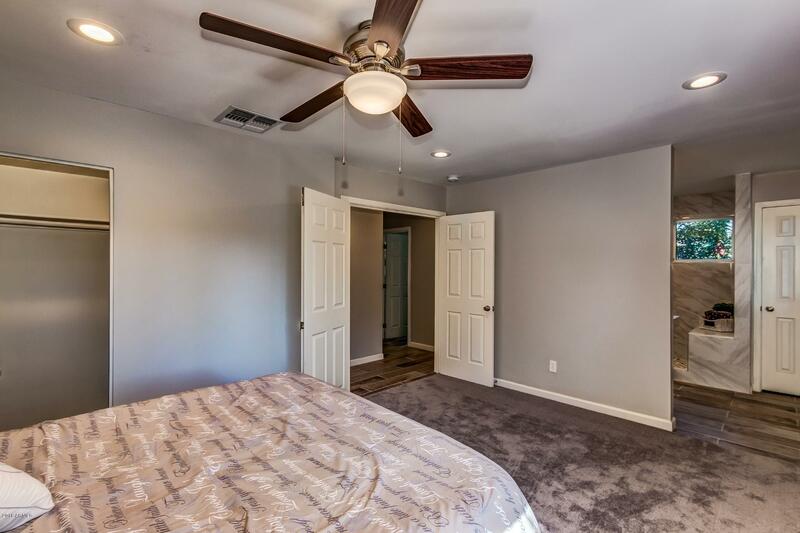 Classy and comfy with all new easy care ''wood'' plank tile flooring throughout, and carpet in bedrooms. 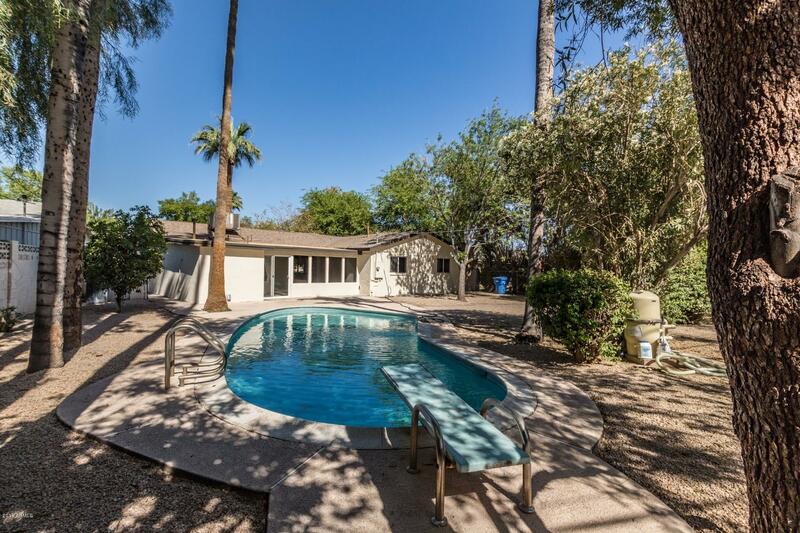 Desirable open floor plan with lots of windows overlooking the huge landscaped back yard with a sparkling pool and ample mature shade trees. 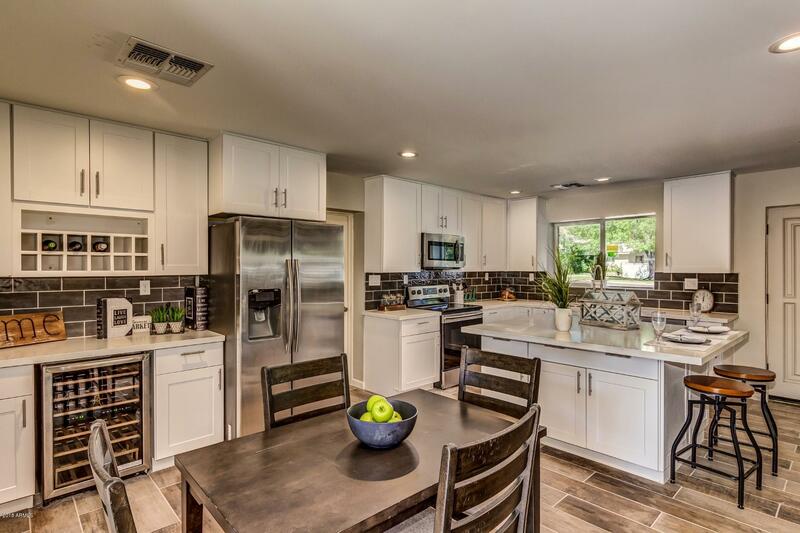 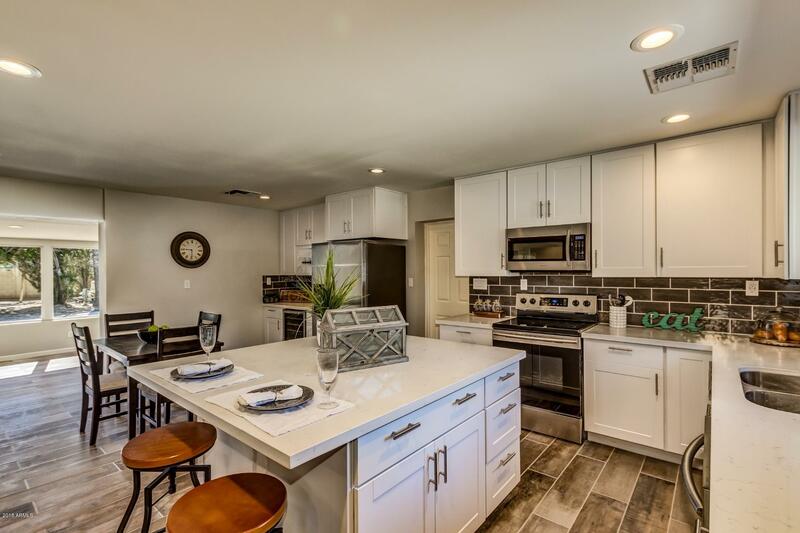 A beautiful light and bright kitchen with all new cabinets, counters, fixtures and all appliances including the built in beverage cooler, huge island and breakfast bar too. 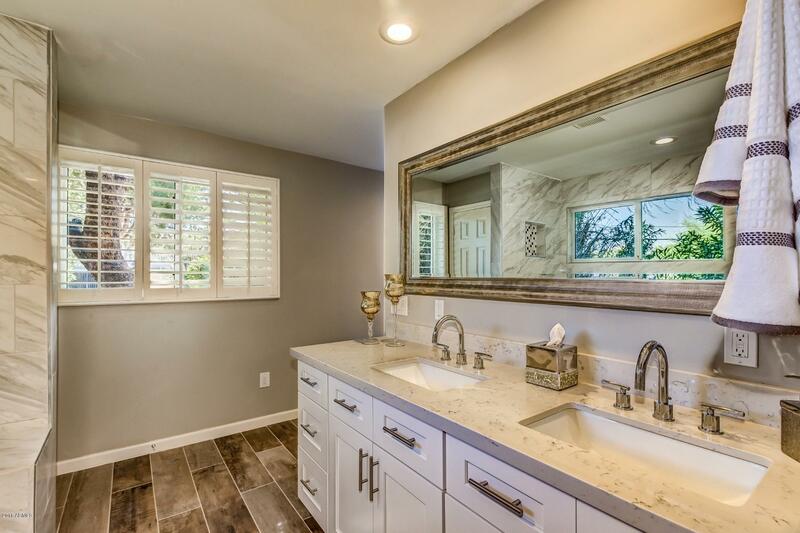 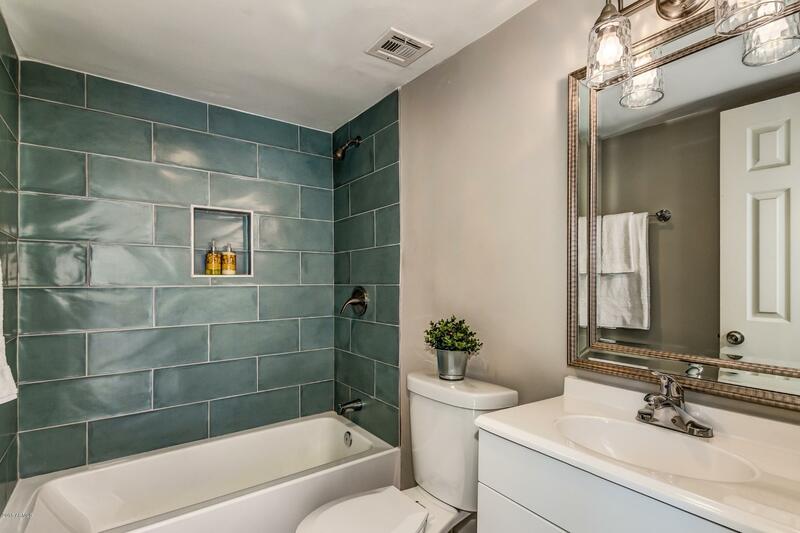 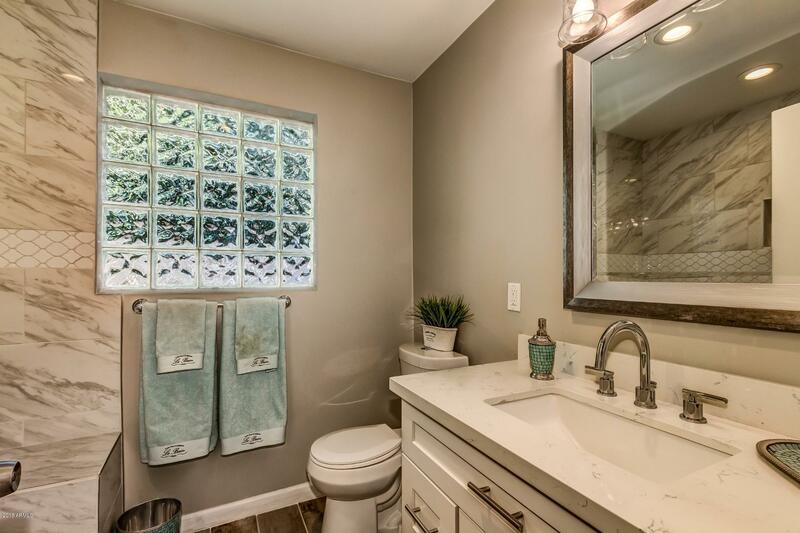 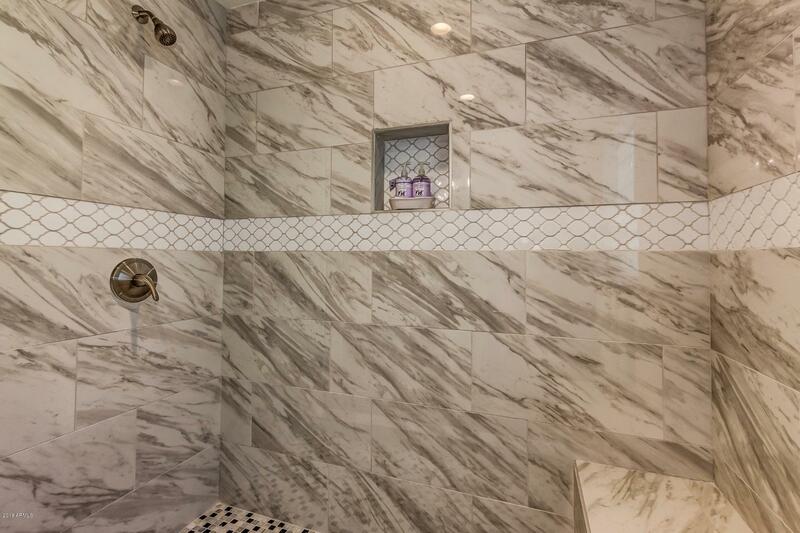 You will love the luxurious bathrooms with all new fixtures vanities, tile surround and more. 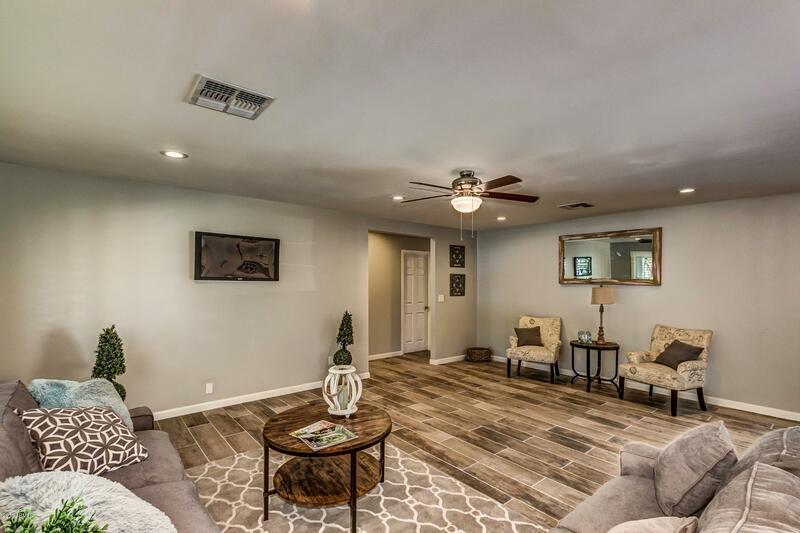 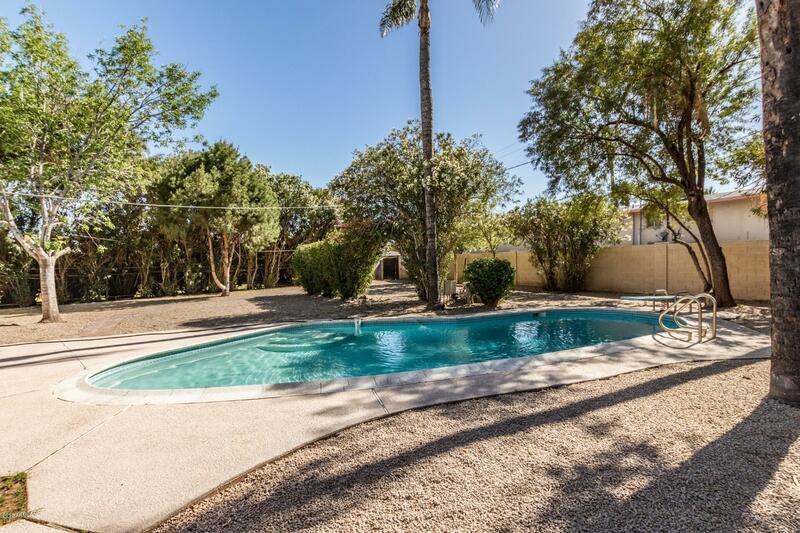 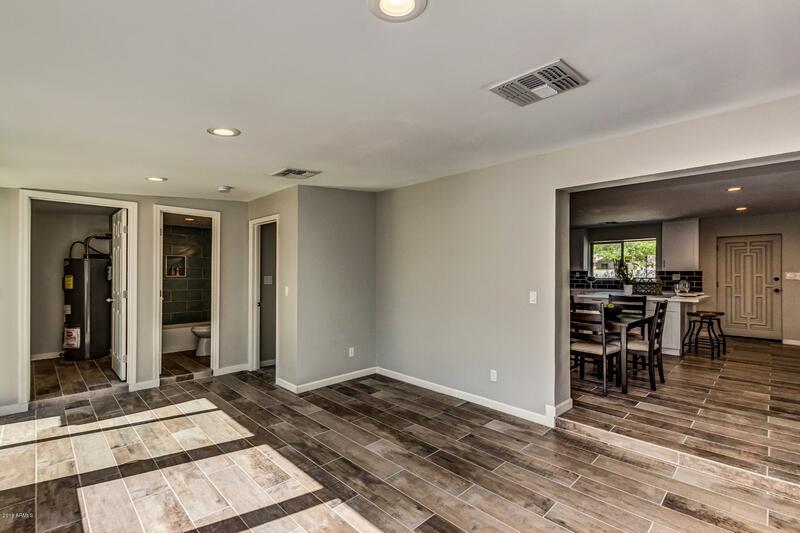 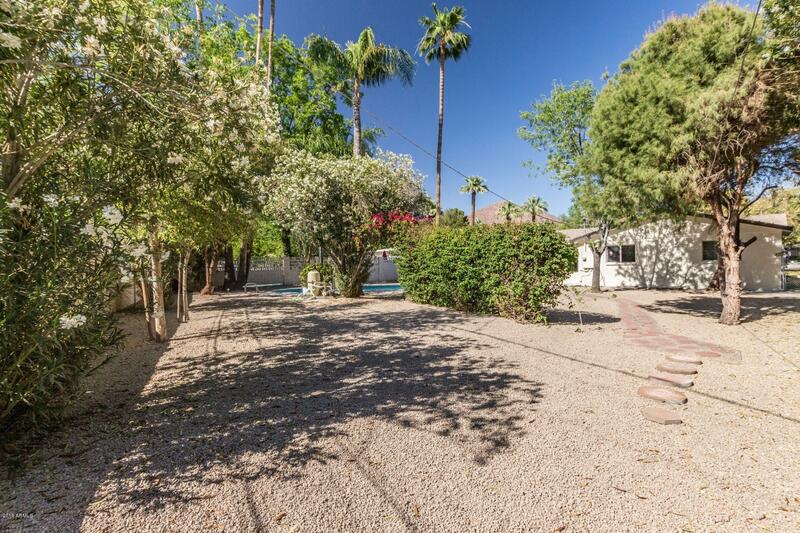 On a large irrigated lot in a convenient location and Scottsdale school district. 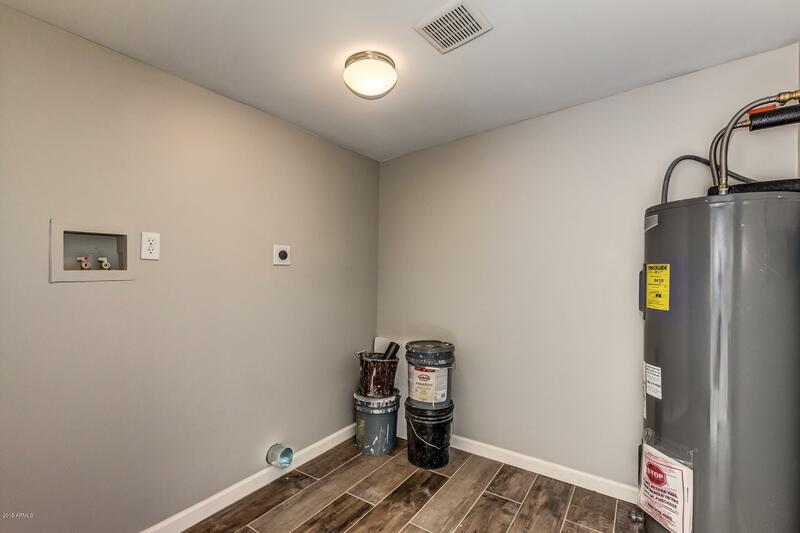 Current owner has city permit to build a garage on the property.